Aikido can provide many things for each individual, ranging from physical to mental to spiritual. In essence, Aikido is a traditional Japanese martial art that is based on protection of self and those around us. Practitioners learn to control and diffuse confrontation, rather than combat it. They become able to control an attacker without inflicting injury. Often, this type of training develops a new mental outlook, one that applies well to problem solving in one’s daily life. Its three syllables translate to harmony (ai 合), energy (ki 気), way (do 道), and is thus known as "Way of Harmonizing Energy". Aikido does not rely on muscular strength. It is effective by maximizing stability, engaging our hara (core/center), and then rearranging an attack through proper use of timing and angles. 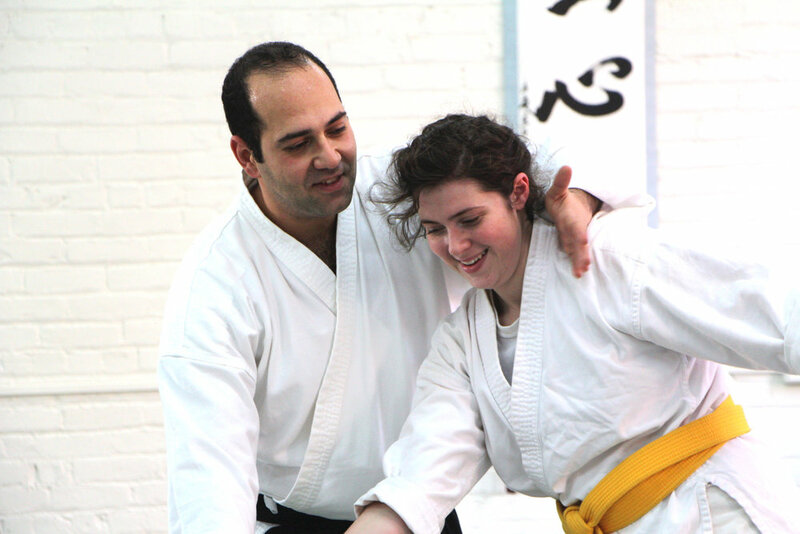 Because of this, Aikido can be practiced by everyone, regardless of size, gender, or strength. 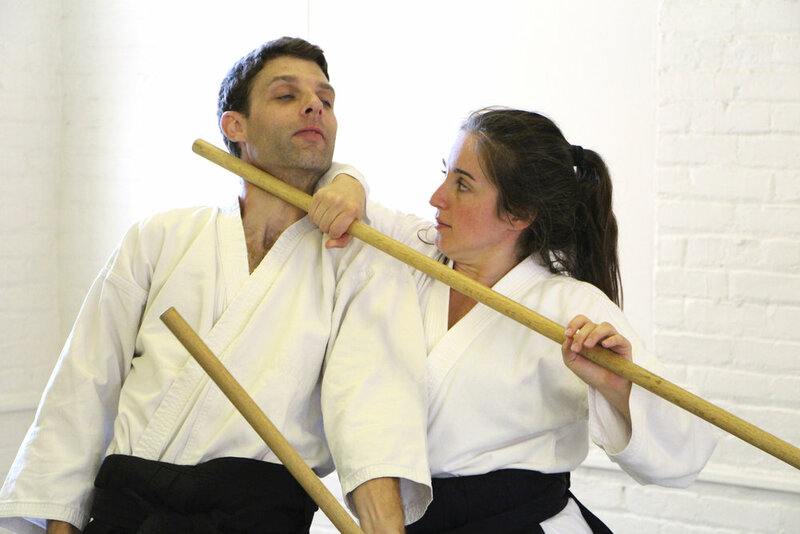 Our school provides classes in the traditional Japanese martial art of Aikido (合気道). Our name, Ryushinkan (流心館), translates to ‘Flowing Mind School’, with the first syllable, ryu (流), holding ancient meaning of hope in a new path of life. We are located amidst the hustle and bustle of Old Town Alexandria's waterfront, surrounded by restaurants, boutiques, galleries, and local entertainment! We are a proud affiliate of Zenshinkai Aikido Association, and preserve and promote the lineage of the late Fumio Toyoda Shihan. Our style of training is vibrant, powerful, and highly dynamic. Lincoln Sensei demonstrating a center-building exercise called 'Unliftable Body'.